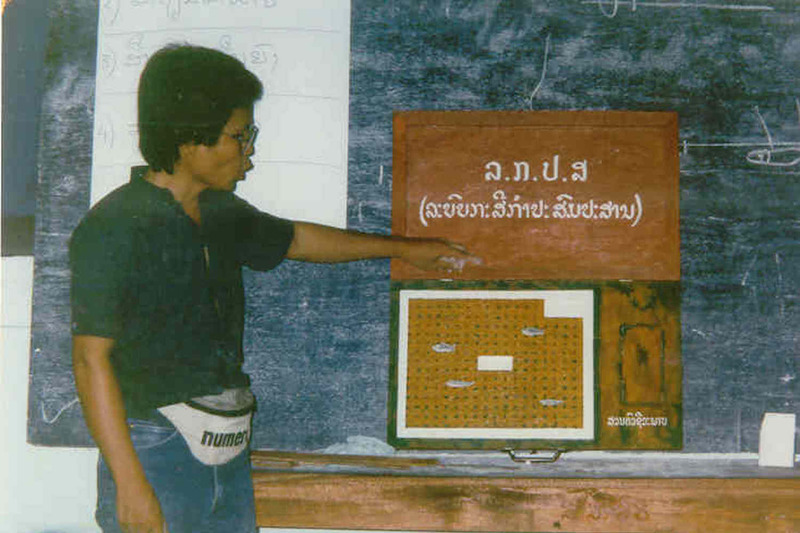 The disappearance of Sombath, 64, a prominent Lao activist who focused on rural development and reducing poverty, is a persistent reminder of human rights abuses by the communist government here. President Obama’s national security adviser, Ben Rhodes, met with his wife Thursday, saying the administration has consistently addressed Sombath and other rights issues behind closed doors As Obama and other international leaders held a summit in this tiny Southeast Asian nation last week. But after the U.S. delegation left and the global spotlight turns away from Laos, human rights groups worry that Sombath’s disappearance will be forgotten, and the government will have little reason to ease its crackdown on any dissent. “The disappearance of Sombath has been very, very effective for the Laotian government in terms of shutting down civil society or any sort of criticism of the government,” said Sam Zarifi with the International Commission of Jurists, a human rights group. “And maybe that’s a lesson they’ve learned. That disappearing someone is a small price to pay, because at the end of the day, all the global leaders show up and you have a nice event and everybody will forget,” he said. Not Sombath’s family and supporters, who are still searching for answers about his disappearance. Security camera footage of the traffic stop shows what happened. Sombath gets out of his jeep and talks to police. Someone else shows up and drives away in Sombath’s jeep. A pickup truck pulls up; Sombath gets in and it speeds off, led by armed men on a motorcycle. Those few grainy clips are all that Shui Meng and the rest of Sombath’s family, colleagues and friends have to hold onto. Police and the government have failed to mount a credible investigation, and Shui Meng said she hasn’t had any contact with authorities for an update in more than two years. Many believe that Sombath was taken in an enforced disappearance, an international legal term for a secret, state-sponsored abduction. The timing is also suspect, coming after an international conference that he helped coordinate. At that event, plainclothes police hassled and following attendees, and copies of a report Sombath helped prepare were confiscated. Just days before his disappearance, a Swiss worker was kicked out of the country — a sign of a growing crackdown. Over the past week, several human rights groups called for Obama to publicly pressure Laos on human rights and to bring up Sombath by name at the summit. His statements, however, remained measured. To critics, those words failed to send a powerful enough message. “President Obama missed a golden opportunity to show that he stands with the family of Sombath Somphone and Lao civil society against those in the Lao government who think it is acceptable to haul away community leaders at night, and intimidate and imprison those express opinions the authorities don’t like,” said Phil Robertson, deputy Asia director for Human Rights Watch. Rhodes, Obama’s national security adviser, said the Lao government’s response is that it still is investigating Sombath’s disappearance. “Given (Sombath’s) prominence, this is something that we’ll continue to raise,” Rhodes said last week. Meanwhile, Shui Meng is left with questions about her missing husband.